Beyblade Metal Fury is the third season of the Metal Saga and the sixth season of the Beyblade anime. The Beyblade Metal Fury series started airing in Japan at 8:30 A.M. at TV Tokyo on April 3, 2011. 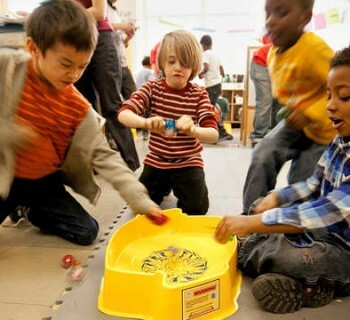 It is based heavily on the recent 4D Beyblade System. "In the Cosmos, an unusual event has occurred. Beyblade Metal Fury starts with Gingka and Co. saving a boy named Yuki from a mysterious youth named Johannes after their latest triumph over Faust and the Spiral Core. Although Yuki is a boy genius and an astronomer, he is a Blader who owns “Anubius”. Yuki says that he has come to tell Gingka and his friends about the voice of the Star Fragment. He witnessed the Star Fragment (a meteor) fall from the sky one day. That single light dwells within Anubius and he says that he heard the voice of the Star Fragment that evening. A great evil is trying to revive the “Black Sun” and "Nemesis", the God of Destruction, by using the unknown power of the Star Fragment and destroy the world. Gingka and his friends must fight again, just as soon as they get the hang of their new 4D System Beys! Experience the Big Bang Pegasis, experience the 4D System! Gingka Hagane: Gingka, recently discovered as one of the Bladers of the Four Seasons, representing Autumn, returns in a new adventure to find the remaining 10 Legend Bladers to stop a grave evil from commencing with his Big Bang Pegasis F:D.
Yuki Mizusawa: The newest edition to Gingka's team is Yuki. A boy genius and an astronomer who owns a Bey called Anubius. Anubius has light from the Star Fragment that created the original Pegasus and L-Drago. Together with Gingka and Co. they have to stop the Black Sun and Nemesis from dominating the world. Kenta Yumiya: Kenta returns with an updated design with his Bey, Flame Sagittario C145S. He is in search of the remaining Legend Bladers with Ryuga. Benkei Hanawa: Benkei returns ready to Beyblade once more with his Dark Bull H145SD. Kyoya Tategami: Kyoya returns with a new Bey, Fang Leone 130W2D and a new clothing design, ready to take on his ultimate rival; Gingka. Also discovered as one of the Bladers of the Four Seasons, representing Spring, Kyoya will have to help Gingka and Co. to search for the other Legend Bladers. Madoka Amano:The team's Beyblade mechanic returns ready to help with her laptop as well as an updated design. 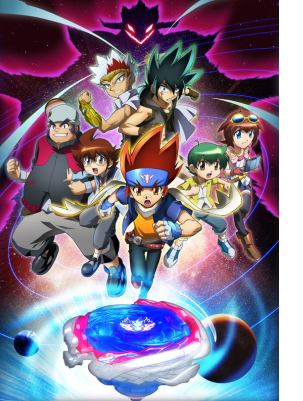 Ryuga: Ryuga returns in search of the Legend Bladers with his new acquaintance, Kenta, while armed with his new Beyblade, L-Drago Destroy F:S. Also discovered to be one of the Bladers of the Four Seasons; representing Summer. Johannes: A mysterious youth who attacked Yuki in order to gather information about the Legend Bladers. Also an affiliate of Pluto who is attempting to gather all Legend Bladers to revive Nemesis. He battles with his Beat Lynx TH170WD. Pluto: Pluto is the person that sent Johannes to attack Yuki. Pluto was the very first owner of Nemesis and is plotting to revive it with the 10 Legend Bladers. Nemesis: Nemesis is the God of Destruction and the main villian of Beyblade: Metal Fury. 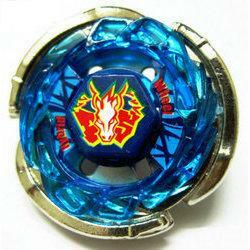 Also a Beyblade, that plots to take control of the world and dominate it with the Black Sun. Aguma: Aguma is the Solar System Blader that represents Saturn. He is a powerful and mighty Blader who is often with Bao and Blades with Scythe Kronos T125EDS. Bao: Bao is Aguma's partner who can be considered a pseudo-Legend Blader as he was hit by a Star Fragment but is not a true Legend Blader. 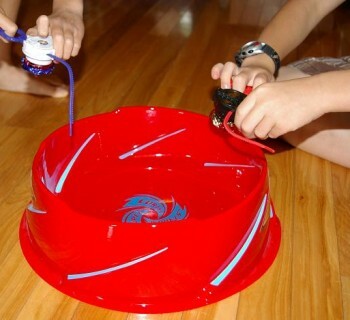 He Beyblades with his Hell Crown 130FB. Chris: Chris is one of the Bladers of the Four Seasons that represents Winter. Quite a powerful Blader with a dark attitude, who joined Johannes' Gang and Blades with Phantom Orion B:D.